Metal dome tube means domes are packed in a tube which is suitable for auto or half-auto dome placement machine or device. Normally there's a button on that machine, each time you push it, one metal dome will be put on target position and then go to next position, without re-load or pick a metal dome individually. Using metal dome in tube will accelerate the speed of metal dome assembly to save money and time. With a dome placement pen, or auto pick gun, dome in tube is convenient for assembly. Normally it's 1,000-1,500 pcs dome per hour, or can can be up to 2,000/hour, compared to human hand 300-500pcs/hour. To get a more fast speed, you need to use dome in Tape & Reel packing. Further more, it also increase the precision of alignment, comparing to pick each one by a tweezer or sticker from the bulk metal domes. The tube was made by light, transparent plastic in a certain size to sustain metal dome stable during transportion and assembly process. Different diameter of metal dome pakaged in different size of plastic tube. Also dome in tube will will save shipping fee compare with dome in Tape & Reel packing, or peel & place (array), becuase size of tube is smaller. Currently this packing avaialbe in market is for only Four-leg metal dome, because this shape is convenient to put into tube in a correct direction, and to get a good alignment. Each leg of dome will lay in each corner of tube, like following pictures showing. For Circle series metal domes, most of factories have dome collection machine and can put them into a stainless steel tube which can be used for repetitious long times. For plastic tube, consider the handle and shipping cost, it'll no be reclaimed. But if customer is near to us and can bring them back to us in good condition, we can give some discount for meta dome purchasing. You can leave your comments or suggest on our blog, or contact us now for more information of tube metal dome! Metal dome packed in environmental PE bag, and the amount packaged per bag upons on metal dome size and order quantity, such as 5,000 pcs, or 10,000 pcs. Different diameter of metal dome pakaged in different size of plastic tube. 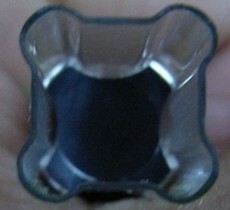 With a dome placement pen, or auto pick gun, dome in tube is convenient for assembly. Each metal dome is sealed in a socket on a continued tape and packed on a reel, so it can be picked and place like normal components on SMT machine. 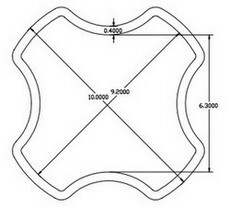 Single or several dome glued on an pressure sensitive adhesive array, easily peeled off from release liner and placed firmly to circuit boards within seconds.